I never would have expected that there were this many t-shirts with Jabba the Hutt on them, and I certainly don’t have them all. 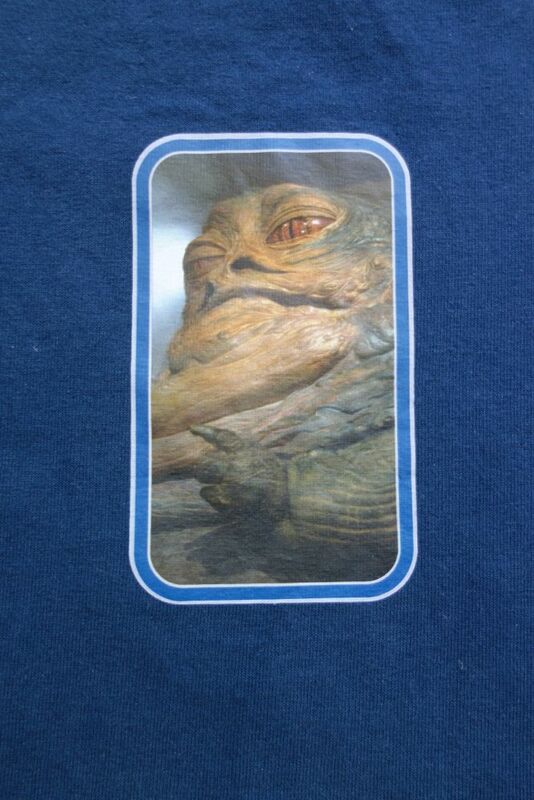 This one is a bit unusual in that it uses a photo of Jabba that’s rather underrepresented in merchandise, and because it was apparently only available in the UK. 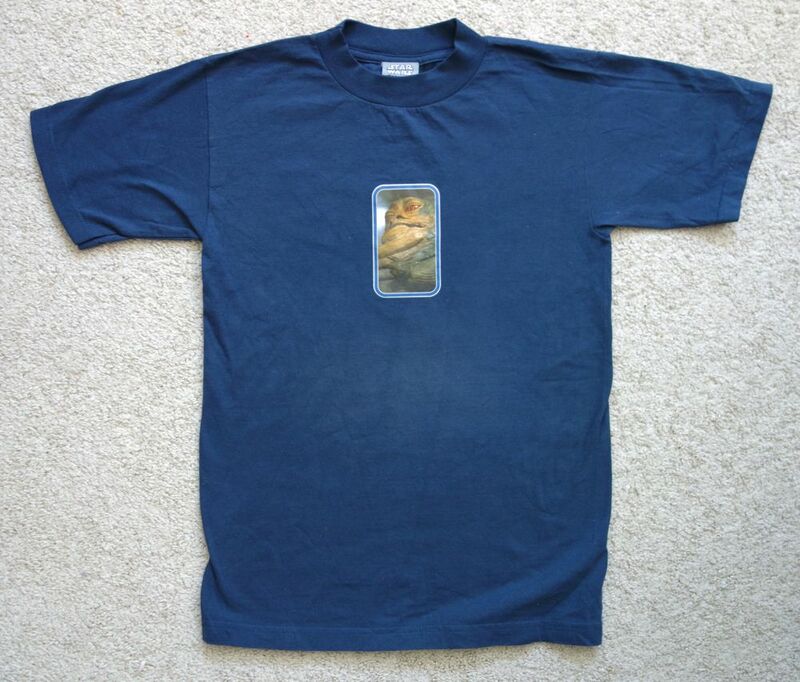 I know they also made a number of other shirts in a similar style using other Star Wars characters.